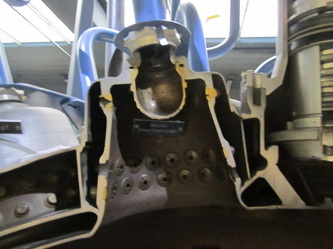 The tippy top of a V2 rocket. I had an opportunity to visit the Deutsch Museum in Munich during a visit to a supplier of machine tools so naturally the aviation exhibit was high on the list. 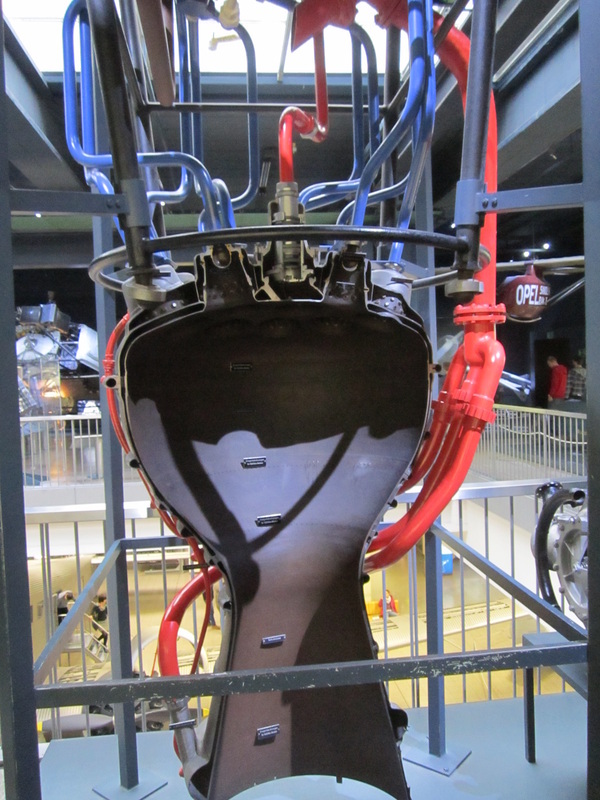 Having helped on a working 1:1 scale model of the German V2 rocket engine, the original was neat to see. One of these rockets actually made it back to Canada (via boat fortunately) after the war, and ended up at nearby Picton airport-no one knows what became of it after that-but it was likely buried at the airport dump. 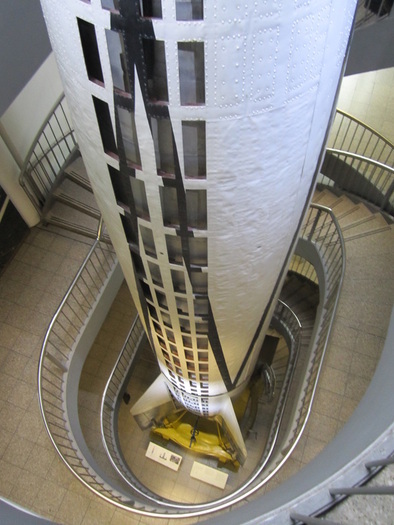 Pictured at left is the very top of the rocket which extends through four floors of the museum. 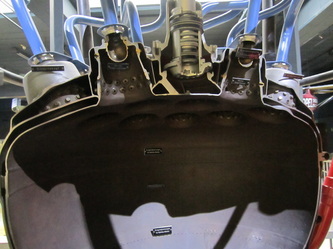 Below that, the view to the stairwell to the bottom of the rocket. 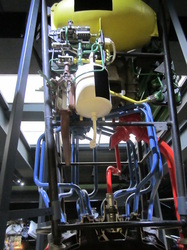 Six photos below showing cutaway of the engine. Towards the end of the war, the American military had the good foresight to round up as many high level German engineers as possible to help them understand the engineering advancements in rocketry that would ultimately help America win the space race. 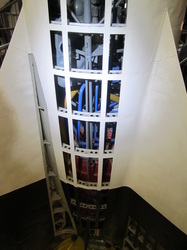 looking down the fuselage of an upright V2 rocket. 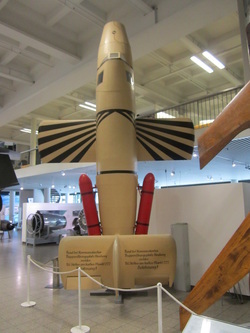 A rocket built by the Germans at the end of the war to intercept bombers. 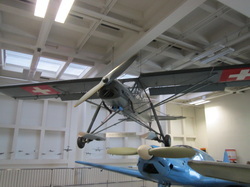 Not very successful and the only pilot to fly one was killed. Landing gear were too complex and costly to build so a parachute recovery system was developed. 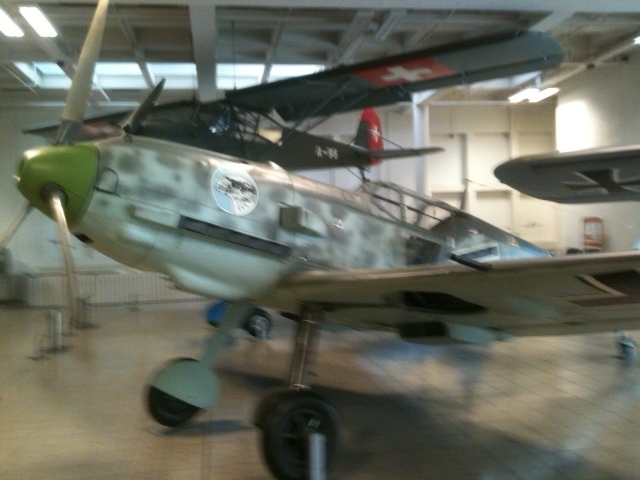 The one here was built from subassemblies after the war so it is technically not original. The only original one is in the United States. Some really cool aircraft in the main hall including an F-104 Starfighter and an early experimental VTOL aircraft, the German built VJ-101C. This was going to be the successor to the F-104 (below) and before the first prototype crashed, it was the first VTOL jet to achive Mach1 flight in July 1964. 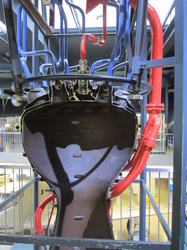 The second prototype pictured here achieved Mach1.2. 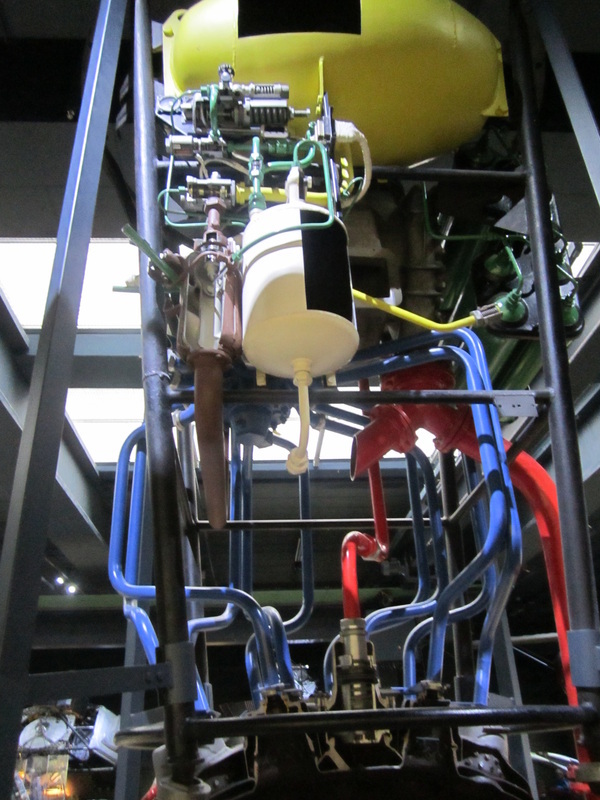 The program was considered very successful but further aircraft did not follow. It might have had something to do with the fact that the aircraft had 6 engines (two in each pod and two in the fuselgae) making it a pretty complex and likely fuel hungry aircraft. 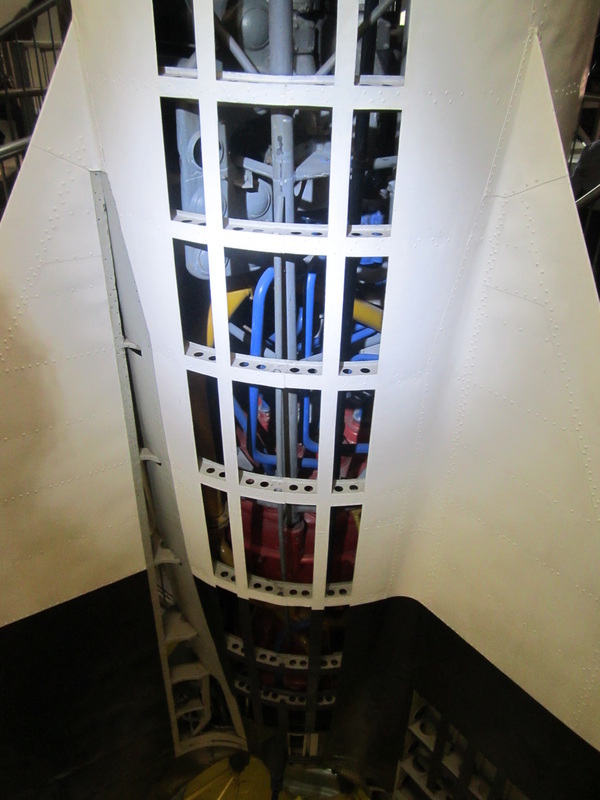 Starfighter-essentially a rocket with winglets to keep it stable. 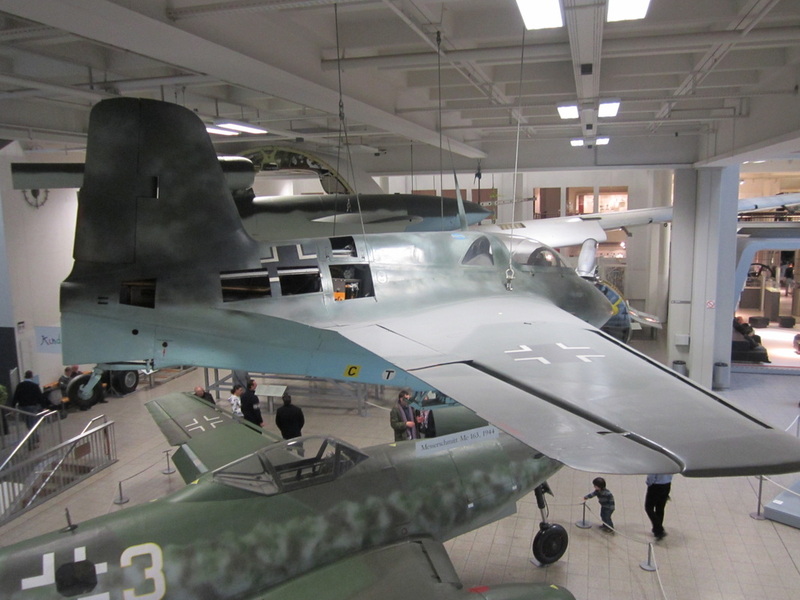 STOL.- some contend a Fiesler was employed to help assist Hitler escape Berlin at the war's end. 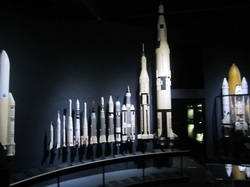 A nice review of the progression of rocket development from the V2 at the top of this page on the left of the photo and the ultimate Saturn rocket that would put a man on the moon only a quarter of a century later on the right. space shuttle on far right in comparison.